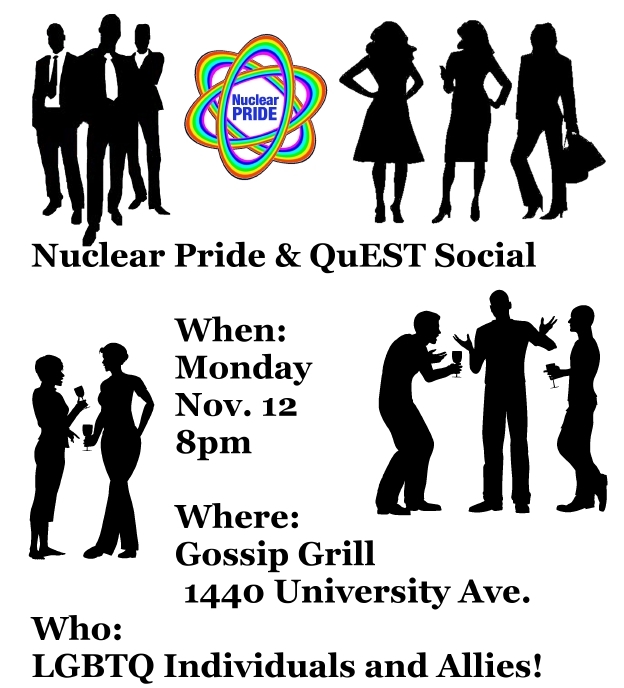 NuclearPride is happy to invite you to our happy hour in San Diego during the ANS Winter Meeting this November. If you will be attending the ANS Winter Conference in San Diego, we warmly invite you to attend our Happy Hour on Monday, Nov. 12, 2012. Joining us will be members of QuEST, based in San Diego, to share experiences about being an LGBT organization in a technical community. Nuclear Pride on the Riverwalk with Young Members Group! Nuclear Pride is going to Disneyland!